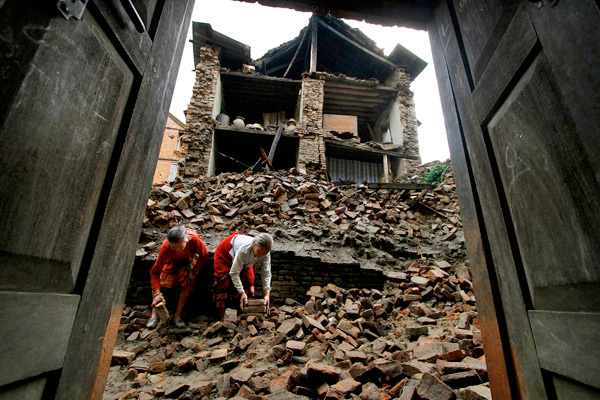 Here at JustGive, we’re in a unique position when something tragic like the recent Nepal earthquake occurs. Not only is our website an easy way to make donations to any charity, but JustGive also works with many corporate partners to power their employee and customer giving programs. Shortly after the 7.8 quake struck Nepal on Saturday April 25, 2015, we mobilized our own team to prepare the justgive.org website for donations. We identified 12 charities providing direct support in Nepal that included the American Red Cross, Doctors Without Borders, World Vision and Save the Children—and placed banners throughout our site to encourage donations. We also reached out to our corporate partners to facilitate giving programs for their employees and customers. Discover, through their year-round Discover Giving Site for cardholders, pledged to waive transaction fees on any donations made to The American Red Cross and World Vision through May 30, 2015. If you have a Discover card, visit discover.justgive.org to make a donation today. Longtime JustGive partner American Express, for whom we power a giving site for cardholders at membersgive.com, also called out to their members to support Nepal. On the Members Give website, Amex cardholders can donate with dollars, or use their Membership Rewards points to make a donation. Pointworthy, a JustGive partner that enables consumers to use their loyalty rewards for charitable donations, moved quickly to launch a Nepal giving campaign. On the website, members of the Citibank ThankYou Rewards and Hilton HHonors programs can turn their reward points into a donation to support Nepal. One of our newest partners, The Hollywood Fund, also mobilized their resources to raise money for Nepal. Hollywood Fund, comprised of a group of media companies including FX Networks, TCM, and Rachel Ray, created a fundraising page to support victims of the quake. The fund then works with its media partners to run online campaigns that drive viewers to the donation page. Thanks to donors coming through JustGive and our partners’ websites, we have currently collected more than $230,000 in donations specifically designated to support Nepal as it recovers from this devastating quake.